Dry wine aged in American Oak barrels under a layer of “flor” yeast. The process of making Fino starts with the must being fortified up to 15% alcohol, helping the “velo de flor” (flor yeast layer) develop. This natural layer of yeast will slowly grow until it covers the whole surface of the wine; thus avoiding the wine having contact with the air during its ageing and therefore preventing oxidation. This provides some very special characteristics to the wine, among them its pale colour. The flor is formed from a very particular yeast that throughout the centuries has evolved to survive due to the oxygen and nutrients in the wine. The biological ageing of the Fino wine will last for about four years in American oak butts of 500 litres through the traditional system of criaderas and soleras, then finally it gets to the bottling of the wine. To the senses: dry, pungent and delicate. 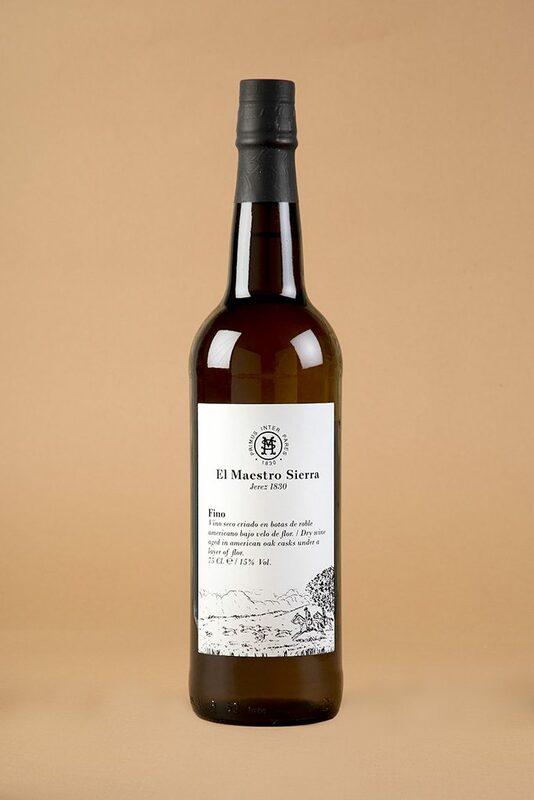 For El Maestro, it goes with… a good Iberico Ham.